Jypyä Pop (Turku, Finland) on 23 August 2018 in Animal & Insect and Portfolio. Oh, you found them ! And the dragon flies were warming themselves. 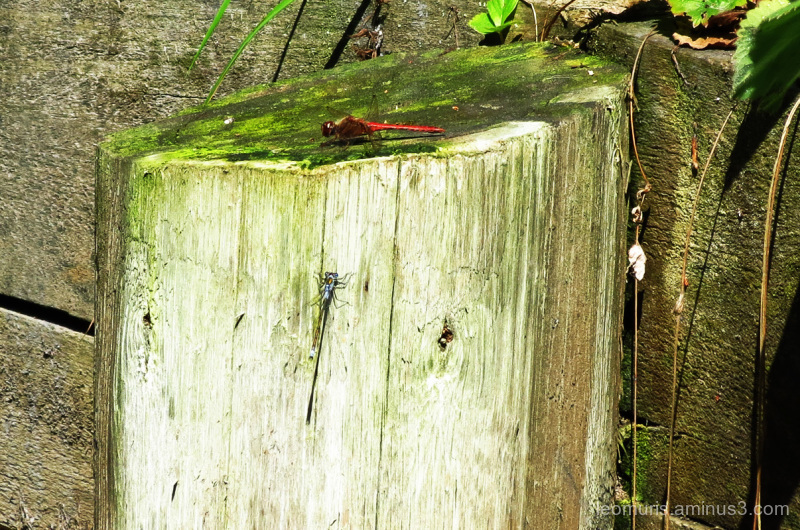 The dragonfly seems to be resting peacefully !!!! @Devi: Yes, but it was a very short rest. After a few seconds, they leave to continue their flight. Must be a good day for dragonflies. Nice shot. I like the red one. Superb captures on the wood andgreat colors . A good day for flying . . . or sunning. Fabulous photo of this lovely red dragonfly.